Kathleen, given by her sister, Carly. 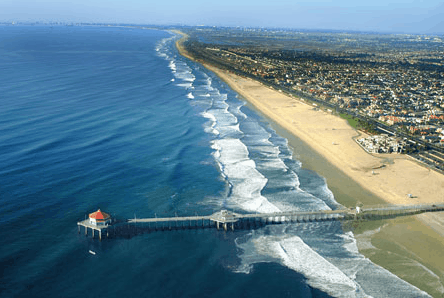 also known as Surf City, USA. See the shark fin and the bite out of the surf board? Gnarly. 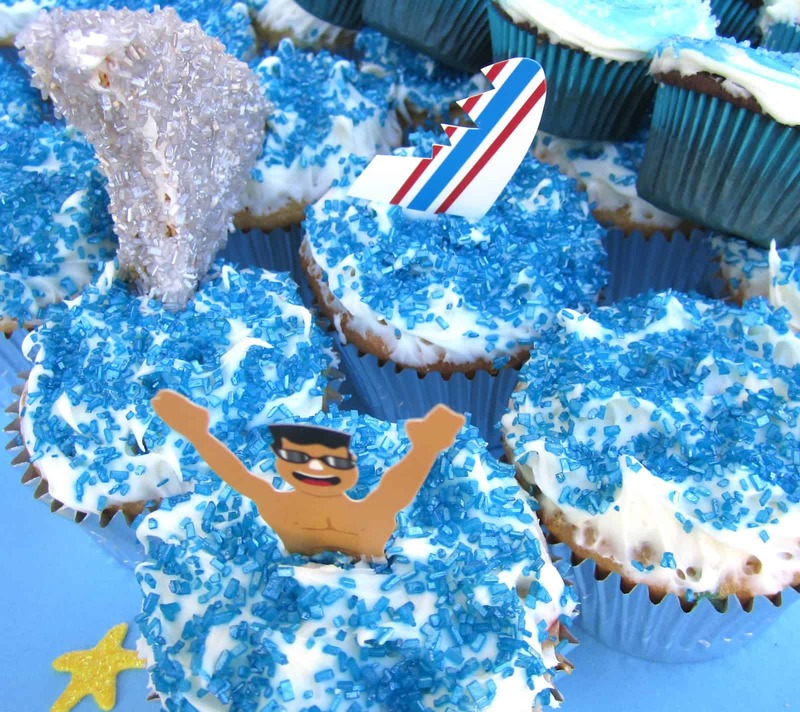 That guy swimming in the cupcakes is in trouble! There was an awesome candy “bar” at the baby shower. Felt like a kid in a candy shop…cute paper weight for the candy bags. See the gummy shark pool? These “sandy” cupcakes are dipped in toasted coconut…love the beach chairs and towels. 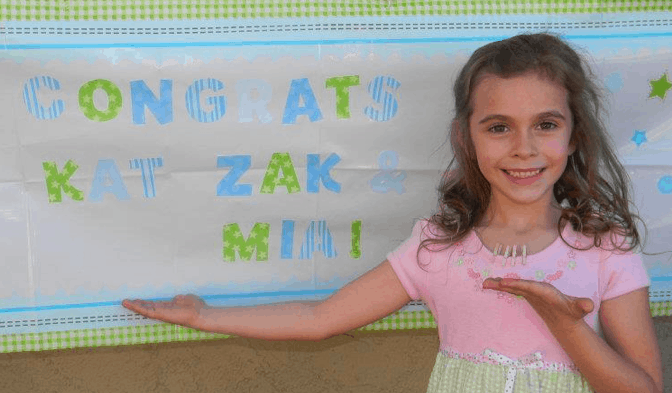 They knew they were having a boy and already named him Jax. The “woody” car is made out of rice krispie treats. I didn’t get a picture of it, but they had baby swim trunks pinned to a line hanging above the tables. and a bunch of surfer brand onesies. and gave me this darling leaf and twig chick. 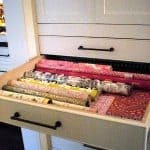 Five Insta-worthy Takes on Holiday Wrap! Congratulations to your niece! Such a fun baby shower! I love the surfer themed treats! Cute shower ideas and pretty baby. 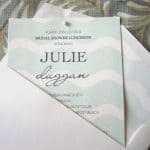 The surfer theme for the baby shower is oh so cute!!! And I love your new little birdie. Tweet tweet. What a wonderful party. The surf theme is so fun. What an adorable baby shower – and baby. Your daughter is beautiful!!! Congrats!! What a fun baby shower and sweet baby. Love the twig chick!!! Love ALL the surfer details, so clever! Congrats on the new baby in the family! We had a heads up on your sweet gift, too cute! 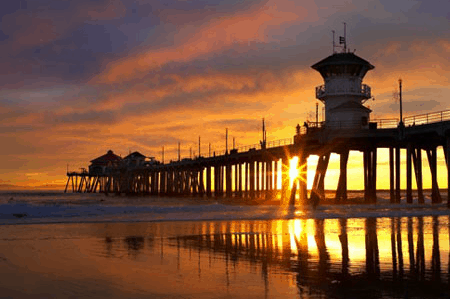 Every time my daughter and I go into Hollister and see the live image of Huntington Beach….I miss California! Yeah, new baby. Congrats to your family. Love the theme, the little surf boards are so adorable. My daughter in-law is pregnant and you have given me a great idea for her shower. So cute…just like that baby! Great surfing theme and so appropriate for your beachy area. Love it! 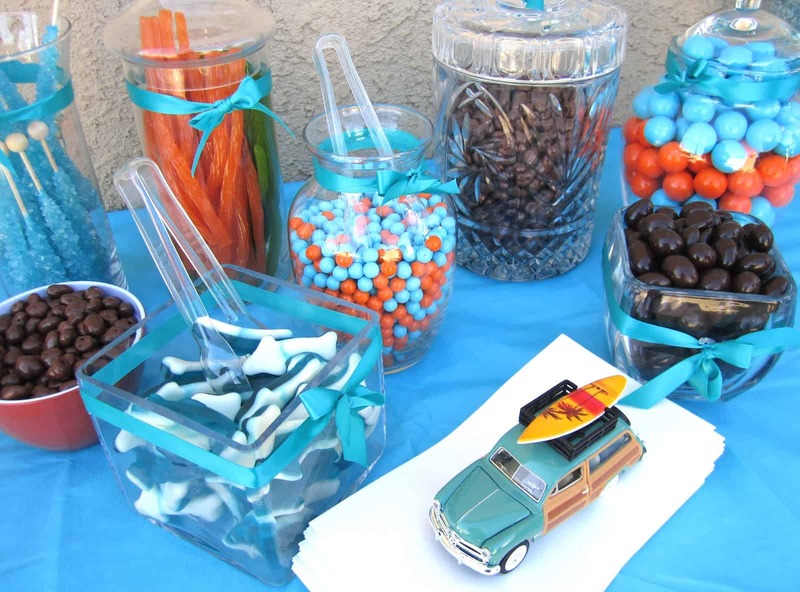 What cute ideas for a beach blanket baby shower! Love the little twig and leaf birdie too. Love the cupcakes…they are darling. So creative! My boys would love that. I will have to bookmark this idea. and the baby…well…I am always a sucker for those! adorable. What a cute "Surf inspired" shower! Pretty mommy, baby and big sister. And your daughter is darling! Thank you for having me to your gorgeous home yesterday! Hard to believe it's even better than all your gorgeous photos! I feel so lucky to have been able to see it in person and visit with you! Welcome to the world Jax! What a fabuous idea for a baby shower everything looks so wonderful. 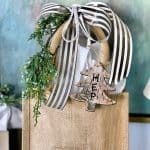 I can't get over how creative this idea is and looks….fabulous! Congratulations! That little twig bird is so cool! thanks for sharing and I will have to find that store on my next visit. Mary Ann, this has got to be the most adorable shower I have seen. LOVE it, and the baby is just precious. I am in love with the chick! Such a talented artist. Indeed something to celebrate! What an adorable shower and I love the color scheme. Annie's little creature gift is so cute and thoughtful. What an adorable baby shower! 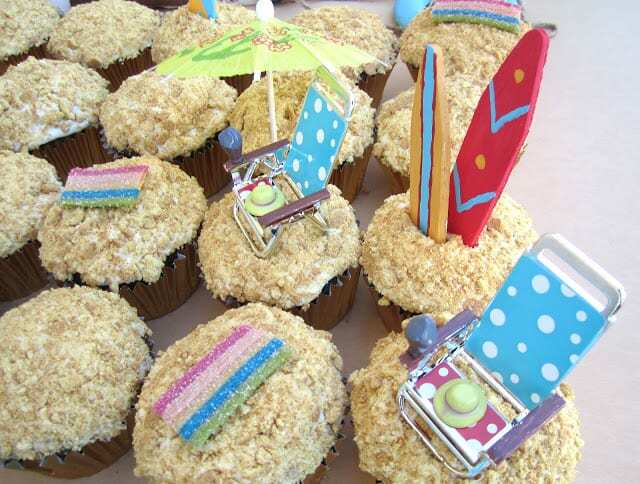 Love the "sandy" cupcakes! What a fun theme for a baby shower! Love the cupcakes! And the "woody" was perfect! Love the little bird that Annie brought for you! So adorable and perfect for spring! Thanks for sharing. What a neat shower! I love the color combo at the candy "bar", and love the name Jax also. I never would have gotten my hubby to agree to such a cool name. 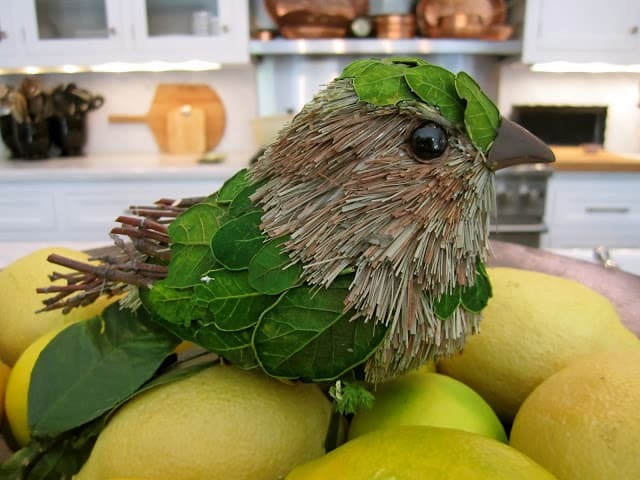 What a sweet bird too! How fun! The beachy theme is so cute! 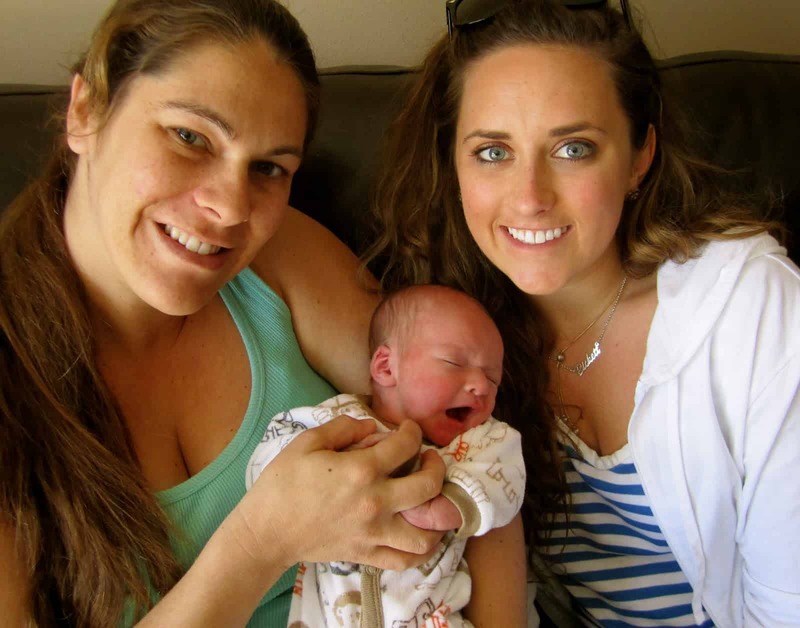 Congrats to your niece…Jax is precious! The leaf and twig chick is so sweet! And I love all of the amazing details at the shower. The cupcakes and candy looked so adorable! And what a beautiful baby! Congratulations to your family. That little chick is the cutest thing! How sweet is Annie! Adore the party. Looks like everyone had such a great time! Best wishes for your niece and her new family! what a great shower! and your little chicken is darling! That little Jax is the cutest surfer dude I ever laid eyes on…what a great theme for a shower…and looove those cupcakes, so sweet! Looks like a fun day. Looks like everyone had a ball. What a darling shower! Every detail was perfect. Such a special celebration for Baby Jax's arrival…he's adorable! Not to mention your gorgeous daughter! Thank you for sharing such a wonderful day and event! What a fun idea for a baby shower and such a precious baby…know you are all thrilled!! Congrats to your family, looks like a fun shower! Love all the details especially those beach chairs. :)Adore the cute twig bird, too. Thanks for sharing with us a wonderful day! Congrats on the new little one! 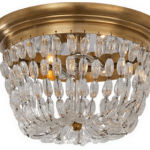 What a darling shower – So well done! So many "pinnable" images here. What a fun shower theme. I remember went we lived in Missin Viejo back in 2010, I miss California. One day we will go back forever. Maryann too cute that little one. I bet your gifts were a hit! The theme for the shower is so fun! What a fun and creative idea for a shower! Jax is absolutely precious and has a fabulous name. And your "baby girl" is so beautiful. I love your chick and it's so cute sitting on a bowl of lemons…a perfect welcome to spring. 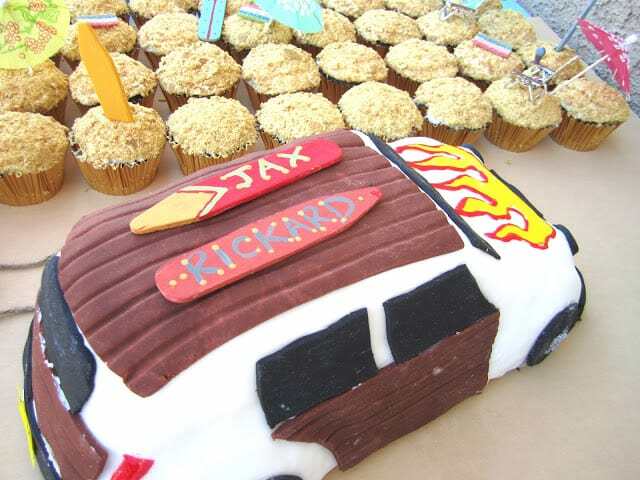 How precious Jax is and what a great theme for a baby shower. That little guy is already styling the surfer look. Great celebration and great treats. And I love your chick too, so cute! So adorable! I love the theme. 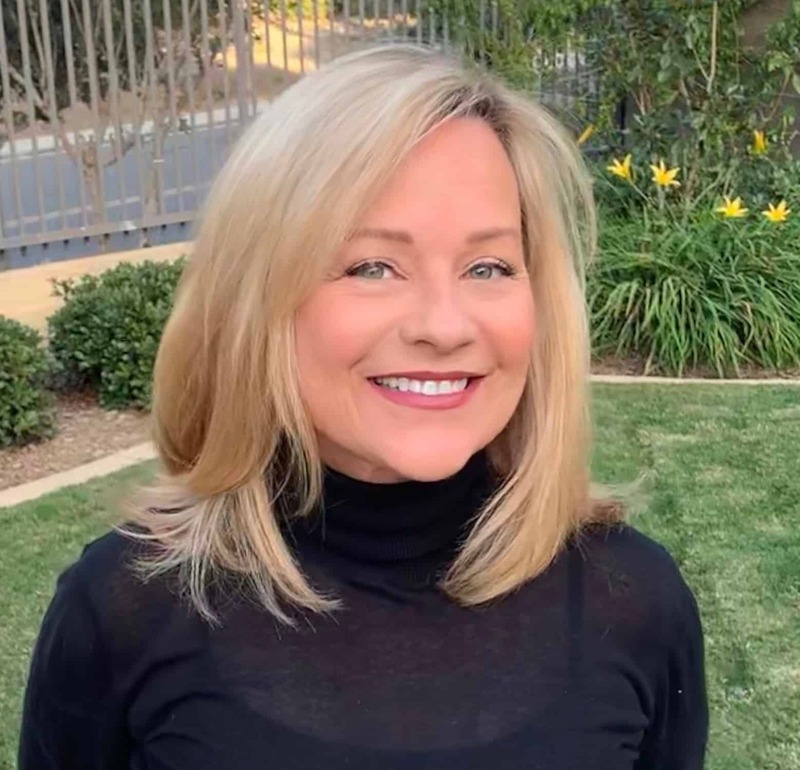 Enjoyed catching up on your blog. You take the best photos! how fun! and that twig chick is just adorable! Jax is beautiful! Congratulations to your niece! What a fun looking shower with such a great theme. Awww.. what a cutie!! Congratulations to your niece!! 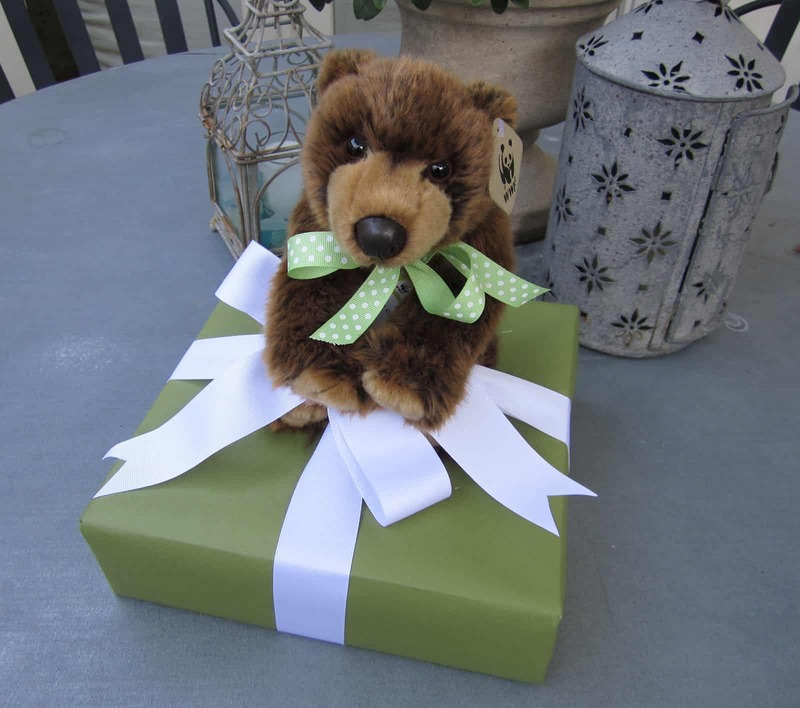 What a darling present – I love the idea of using a stuffed animal as part of the wrapping! Looking at the pictures from the party I was thinking that it would make an fun kids party as well – so many cute and creative ideas! !